Now Foods L-Arginine Powder - 2.2 lbs. Home > Amino Acids > Now Foods L-Arginine Powder - 2.2 lbs. Suggested Usage: As a dietary supplement, take 2 level teaspoons (5 g) daily in juice or water, preferably on an empty stomach. Consider taking this product in combination with NOW® L-Citrulline, P-5-P and AAKG. 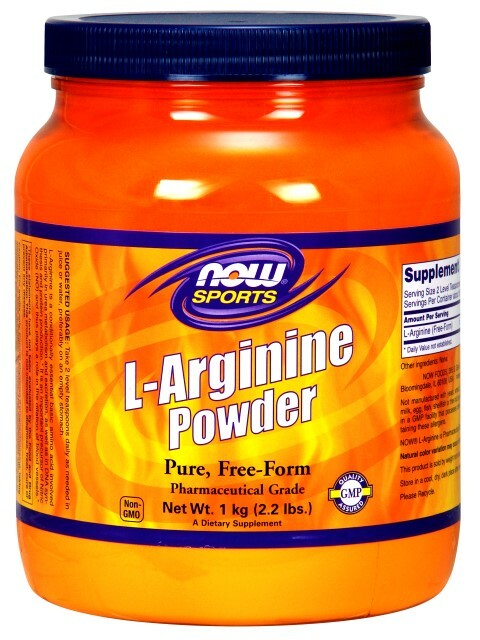 NOW® L-Arginine is Pharmaceutical Grade (USP).